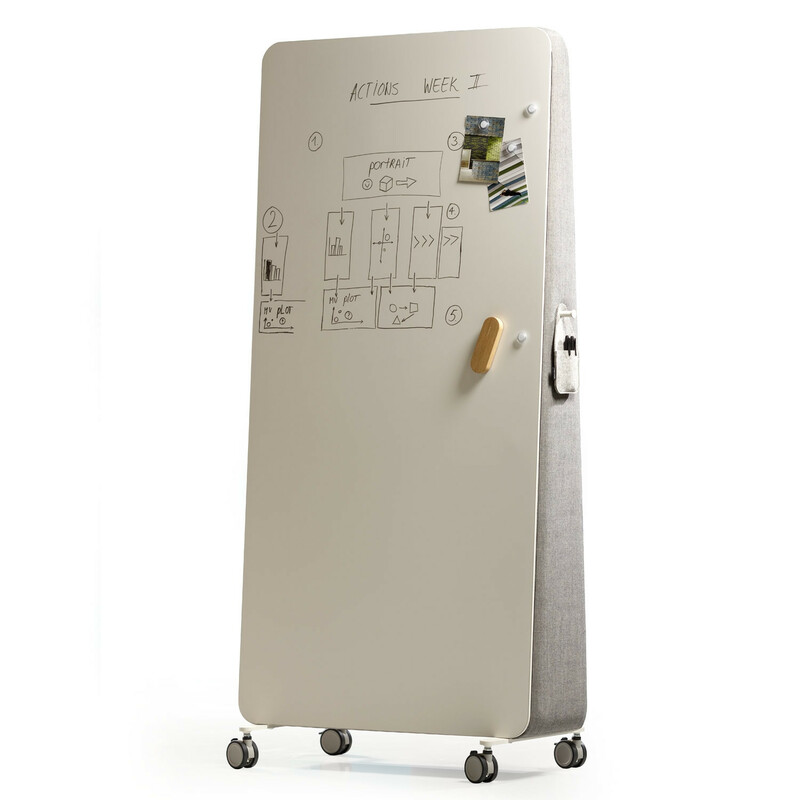 Trunk Whiteboard is a steel enamelled plate magnetic whiteboard that is mobile with acoustic absorbing qualities. 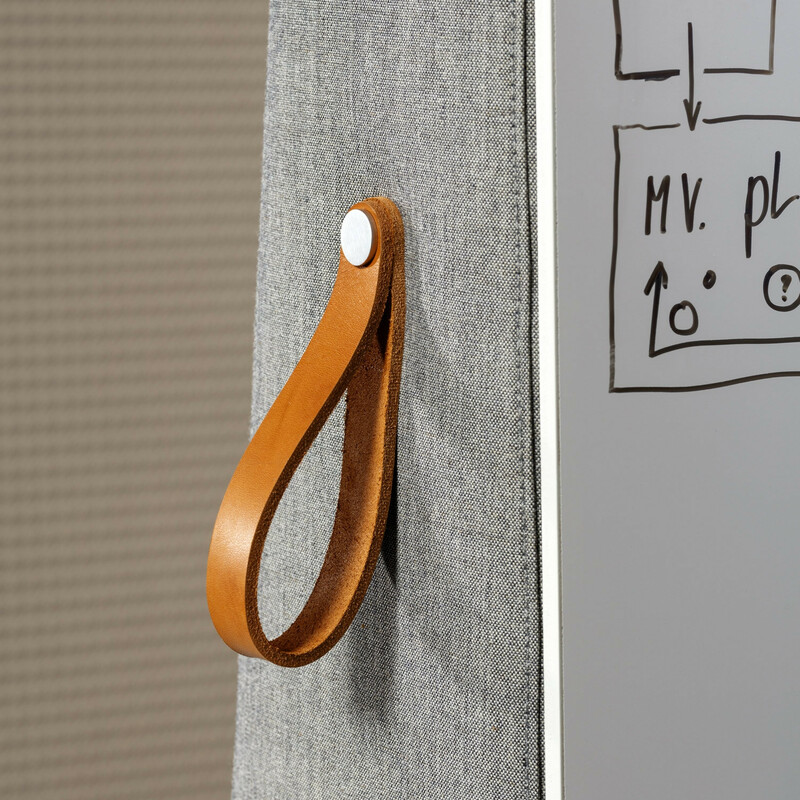 On the reverse side of the Trunk whiteboard unit is an upholstered memo board which can be used to pin notes. Both practical and functional Trunk can also be used in the open office as a space divider between desks. The whiteboard unit can also be specified to have premium quality sound absorbing PET fibre fitted internally for better acoustic benefits. Large caster wheels with brakes ensure Trunk’s mobility and stability. 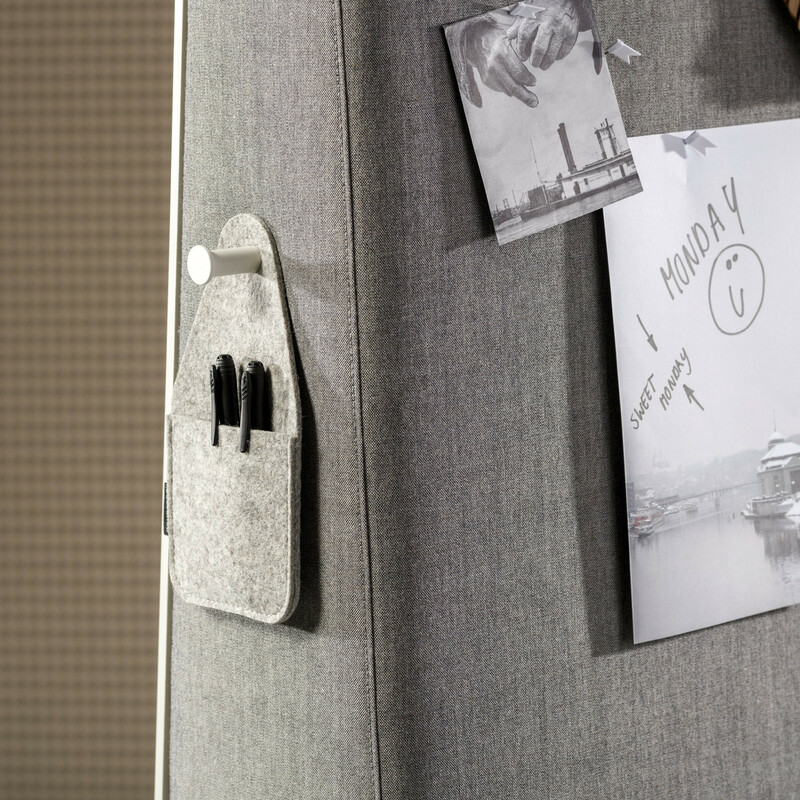 A felt stationary pocket is also included which hangs on the side of the unit. 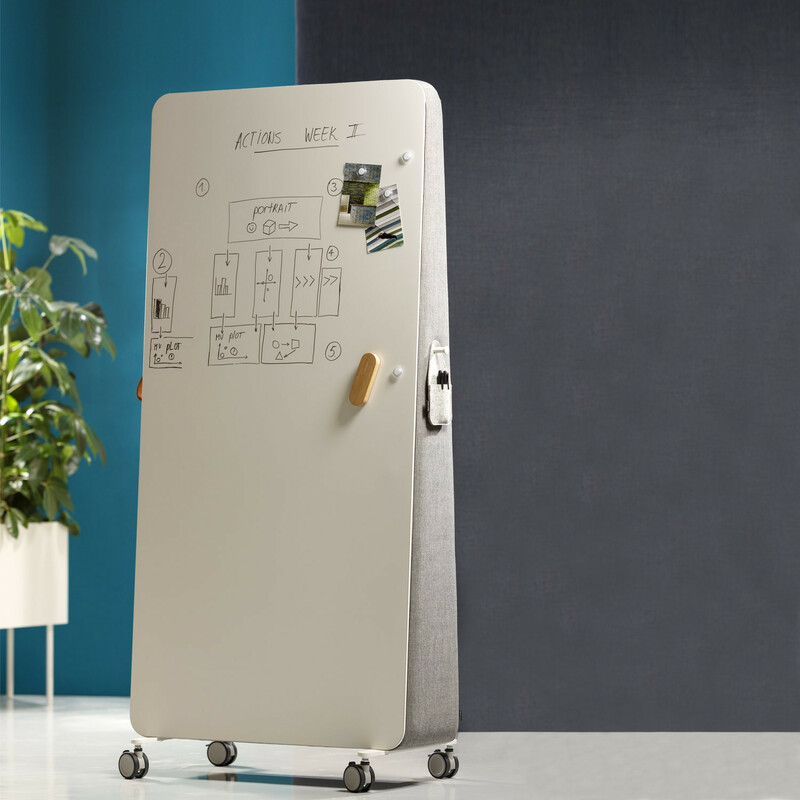 You are requesting a price for the "Trunk Whiteboard"
To create a new project and add "Trunk Whiteboard" to it please click the button below. To add "Trunk Whiteboard" to an existing project please select below.